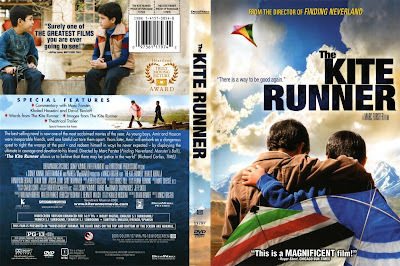 If you are looking for a book about life in the war area which the story is quite heavy with some ingredients of drama on it, The Kite Runner could be a good option. The Kite Runner is a pretty fun book. Pretty conflictual, dramatic, and represent a life of best friend in the war zone. I just found some recommendations of this book on foreign Facebook group (whaaat? am I an old man who still play facebook?). It was several times that this book appeared as a recommendation. Then the last time, I just bought it. Well this book was too.. tough for me. The concept of story is quite simple, but some conflicts on it make The Kite Runner by Khaled Hosseini become a book with a heavy story. It takes some serious issues, such as war, refugee, humanitarian violence, and so on. Ah, it's just tough. 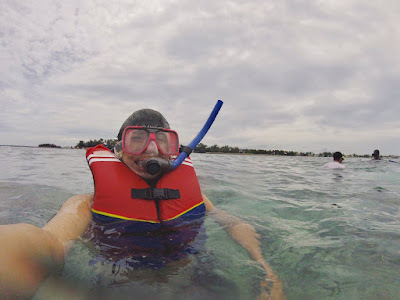 Amir is a Sunni Muslim, he's now a writer in United States. Back to his childhood events in Afghanistan, he has a best friend named Hassan, a Shi'a Muslim. Amir is the son of the boss, while Hassan is the son of the servant. One fine day on Hassan's birthday, Amir reward Hassan a blue kite. That day becomes a turning point for their relationship. On that day, something bad happens to Hassan, and Amir pretending that he doesn't know anything. 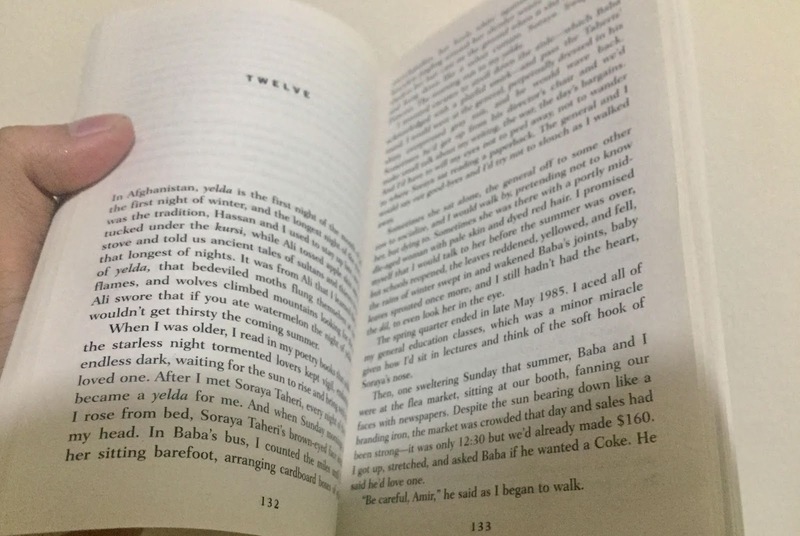 It's a 2003 book written by an Afghan about political chaos in Afghanistan which affect people life even in their next generation, with a strong element of 'religion beliefs ' on it. Damn.. damn... damn. I don't know, I find it hard for me. It was my third english book in this year after PS I Still Love you (fck it was so girly for its storyline) and The Monk Who Sold His Ferrari, and I conclude if this book is the hardest one. 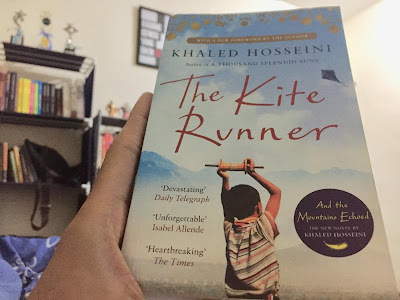 It's very interesting how Khaled Hosseini makes the "Kite" as the representative of hope, struggle, and fight of Afghan child. There are 3 main characters here: Amir, Hassan, and Assef. Amir is a good but coward character but in his future he seeks to make amends, while Hassan is the brave one and Assef is totally the antagonist one. Uni Soviet Invasion to Afghanistan should be the biggest political event on this book. Again, it's about dualism of communism and liberalism at the end. Then it becomes more complex and more conflictual because of "race" stigma, and... Taliban. There are 2 major stories here: first, Childhood events of Amir. Second, when Amir come back to Kabul to save Hassan's Son from Taliban. In conclusion, It was delightful and quite tragic at one time to imagine children in conflict area could feel the happiness just by playing kite. However, it's not an easy story because of its issues. This book is the right book for you if you curious enough to know the interpretation of life in conflict area. 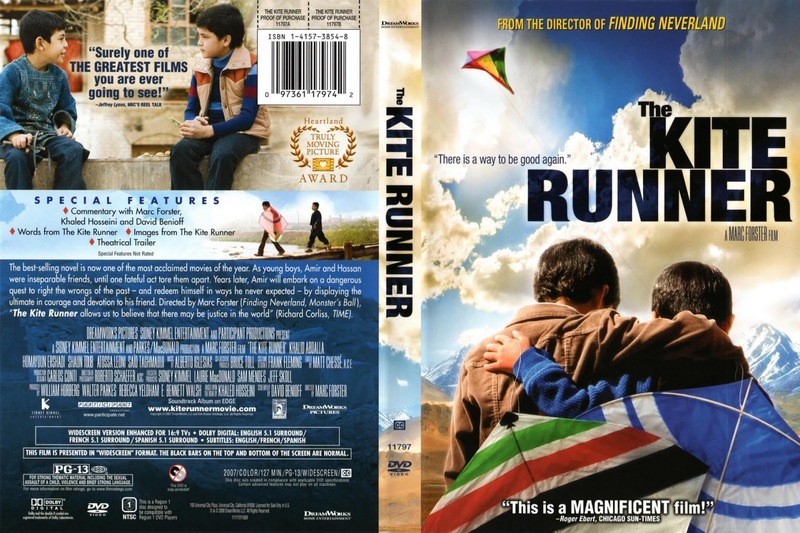 There's a movie of The Kite Runner too, which was released in 2007. I would like to say if.. the movie is so.. on point. Well executed whether for its storyline or visualization. Since it's a hollywood movie, it's not suprising if there are some "fck the Russia" scenes on it. I've heard so many good things about this book and have had it recommended to me a few times, I've also seen it recommended on some Youtube channels! Looks like I need to take the plunge now! I remember when the movie was released more than a decade ago, an Afghan friend of mine bought the book and did not seem impressed with it at all. I have never read it myself and can only imagine the life of children in a long drawn out war zone must be difficult and stressful. It’s an extremely powerful book, definitely not for the faint hearted 😀! I’ve even read his other books. Equally awesome!